In June I wrote an important blog post, based on the amount of Panda work I help companies with. The post was about the maturing of Panda, and how Google planned to roll out the algorithm update once per month, while taking up to ten days to fully roll out. Google also explained that it will not confirm future Panda updates. After hearing both statements, I couldn’t help but think the new Panda could lead to serious confusion for many webmasters. And I was right. Let’s face it, Panda was already confusing enough for the average business owner. Whenever I speak with Panda victims (which is often), I joke that Panda should have been titled “Octopus” instead. That’s because there are many tentacles to Panda. There are a number of reasons a site could get hit, and a deep analysis is often needed to determine what happened, why, and how to rectify the situation. Sure, Panda focuses on “content quality”, but that could mean several things based on the nature of the website. For example, I’ve seen affiliate content get hit, doorway pages, scraped content, heavy cross-linking of company-owned domains, duplicate content, thin content with over-optimized titles and metadata, etc. And then you have technical problems that could cause content problems. For example, code glitches that replicate content across large sites. Those technical problems could impact thousands of pages (or more), and it’s one of the reasons I start every Panda engagement with a deep SEO technical audit. What I find often helps me track down Panda problems, while having the added benefit of identifying other technical problems that can be fixed (and sometimes quickly). Believe me, I don’t want to pat myself on the back about my prediction, because I wish I was wrong. But I have received many emails from webmasters since June that signal there is serious confusion with the new algorithm update. And I totally get it. For example, if you wake up one morning and see a big drop in Google organic traffic, but have no idea why, then you might start researching the problem. And when Google doesn’t confirm a major update like Panda, stress and tension increase. That leads you to various blog posts about Google traffic drops, which only cause more confusion. Then you grab your SEO, your marketing team, and developers, and hit a war room in your office. Diagrams are drawn on large white boards, finger pointing begins, and before you know it, you’re in the Panda Zone, or a state of extreme volatility that can drive even the toughest CEO mad. I know this because I have seen it first-hand many times with companies hit by Panda, from large companies to small. Have There Been Additional Panda Updates As Expected? Yes, there have been. They’re just not easy to spot unless you have access to a lot of data. For example, it’s easier to see the pattern of Panda updates when you are helping a number of companies that were impacted by our cute, black and white friend. If those companies have been working hard on rectifying their Panda problems, then some may recover during the new, stealthy Panda updates. Fortunately, I help a number of companies that were impacted by Panda, so I’ve been able to catch a glimpse of the cloaked Panda. The last confirmed Panda update was July 18, 2013, even though that was after Google said it wouldn’t confirm any more Panda updates. Go figure. And by the way, I have data showing the update began closer to July 15. Regardless, that was the last confirmed date that Panda rolled out. But we know that wasn’t the last Panda update, as the algorithm graduated to quasi real-time. I say “quasi” real-time, but some people incorrectly believe that Panda is continually running (part of the real-time algorithm). That’s not true, and a recent webmaster hangout video explained more about the new Panda. Check 22:58 through 25:20 in the video to watch John Mueller from Google explain more about how Panda is currently handled. In the video, John explains that Panda is not real-time. Yes, read that again. It is not real-time, but it has progressed far enough along that Google trusts the algorithm more. That means the typical, heavier testing prior to rollout isn’t necessary like it once was. Therefore, Google feels comfortable unleashing Panda on a more regular basis (once per month), and Matt Cutts explained that it could take ten days to fully roll out. This is important to understand, since you cannot be hit by Panda at any given time during the month. But, you can be impacted each month (positively or negatively) during the ten day rollout. Based on what I have seen, Panda seems to roll out in the second half of each month. July was closer to the middle of the month, where the August update was closer to the end of the month. Here’s a quick timeline, based on Panda clients I have been helping. Those are two dates I saw recoveries with several Panda clients. Also, if we start with the confirmed July update (which I saw starting on the 15th), you can see all three updates were during the second half of the month. That could be random, but it might not be. Regarding your own website and identifying impact from the new Panda, we need to remember the details of our new, stealthy friend. If Google is telling us the truth, then it could take ten days for sites to see the impact from Panda. So if you took a major hit near one of those dates, then you very well could have been hit by Panda. And again, someone reviewing your site through the lens of Panda would be able to confirm if any content factors were at play (like I mentioned earlier). That’s why a thorough Panda audit is so important. Also, Panda hits are typically very apparent. They aren’t usually slight increases or decreases. Remember, Google is continually pushing smaller updates to its real-time algorithm, so it’s natural to see slight increases or decreases over time. 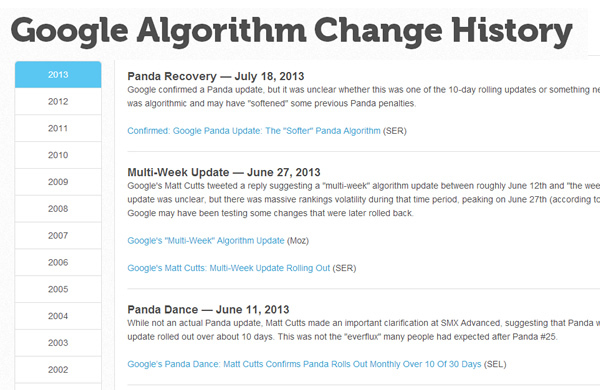 But significant changes on a specific date could signal a major algorithm update like Panda or Penguin. Now, you might be reading this post and saying, “Thanks for the dates Glenn, but how can this help me in the future?” Great question, and there’s no easy answer. Remember, the new Panda is hard to spot, and the Panda gatekeepers (Google) won’t tip you off about when it’s released. But there are some things you can do to monitor the situation, and to hopefully understand when Panda rolls out. I have provided some tips below. First and foremost, identify the exact date of a drop or boost in traffic in order to tie that date with potential algorithm updates. This goes for Panda, and other algorithm updates like Penguin. It’s critically important to know which algorithm update hit you, so you can target the correct path to recovery. For example, Panda targets content quality issues, while Penguin targets unnatural inbound links. And then there was Phantom, which also targeted low-quality content. 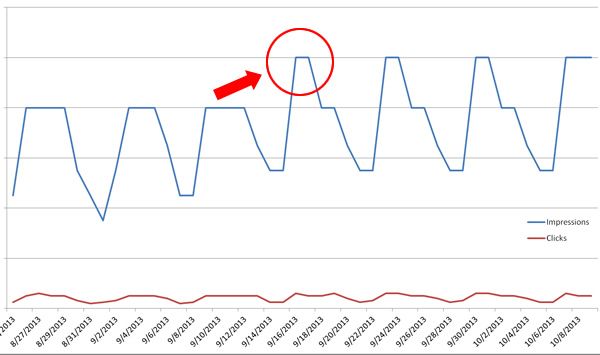 Moz has an algorithm change history, which can be very helpful for webmasters. But, it’s hard for Moz to add the stealthy Panda updates, since Google isn’t confirming them. Just keep that in mind while reviewing the timeline. 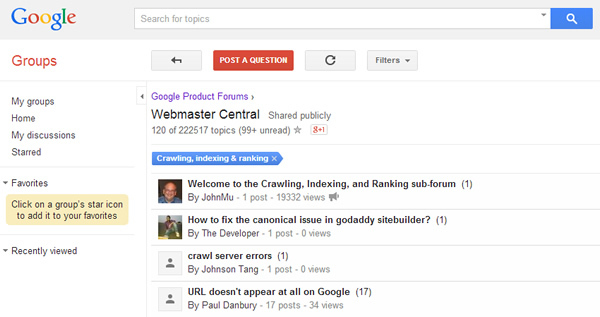 Monitor Google Webmaster Forums to see if others experienced similar effects during the same date. For example, when Penguin hits, you can see many webmasters explaining the same situation in the forums. That’s a clear sign the algorithm update was indeed rolled out. Now, Google is continually updating its algorithm, and sites can be impacted throughout the month or year. So you must identify the same date and the same type of update. It’s not foolproof, but might help you track down the Loch Ness Panda. Follow and engage SEOs that are focused on algorithm updates and who have access to a lot of data. And keep an eye on the major industry blogs and websites. SEOs that are well-versed in algorithm work have an opportunity to analyze various updates across industries and geographic locations. They can often see changes quickly, and confirm those changes with data from similar websites and situations. Have an SEO Audit conducted through the lens of a specific algorithm update. The audit can help you confirm content quality problems that Panda could have targeted. I’ve said this a thousand times before, but a thorough technical SEO audit is worth its weight in gold. Not only can it help you understand the problems impacting your site Panda-wise, but you will undoubtedly find other issues that can be fixed relatively quickly. So, you can better identify what happened with your site, you’ll have a roadmap for Panda recovery (if applicable), while cleaning up several other technical problems that could also be causing SEO issues. During my career, I’ve seen many webmasters spinning their wheels working on the wrong SEO checklist. They spent months trying to fix the wrong items, only to see no change at all in their Google organic trending. Don’t let this happen to you. Monitor the various algorithm weather report tools like MozCast and Algoroo, which can help you identify SERP volatility over time. The tools by themselves won’t fix your problems, but they can help you identify when the new Panda rolls out (or other major algorithm updates). I wish I could tell you that the situation is going to get better. But it isn’t. Panda has already gone quasi real-time, but other algorithm updates will follow. I do a lot of Penguin work, and once Google trusts that algorithm more, it too will launch monthly and without confirmation. And then we’ll have two serious algorithm updates running monthly with no confirmation. And who knows, maybe Panda will actually be part of the real-time algorithm at that point. Think about that for a minute… two major algo updates running throughout the month, neither of them confirmed, and webmasters losing traffic overnight. Yes, chaos will ensue. That’s even more reason for business owners to fix their current situation sooner than later. By the way, if you take a step back and analyze what Google is doing with Panda, Penguin, Pirate, Above the Fold, etc., it’s incredibly powerful. Google is crafting external algorithms targeting various aspects of webspam and then injecting them into the real-time algorithm. That’s an incredibly scalable approach and should scare the heck out of webmasters that are knowingly breaking the rules. 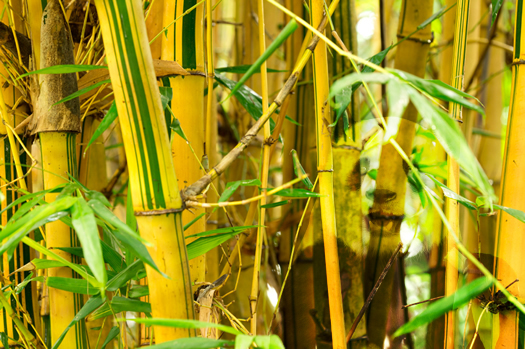 Just because Google hasn’t confirmed recent Panda updates doesn’t mean they aren’t occurring. I have seen what looks to be several Panda updates roll out since July. Unfortunately, you need to be analyzing the right data (and enough data) in order to see the new, cloaked Panda. 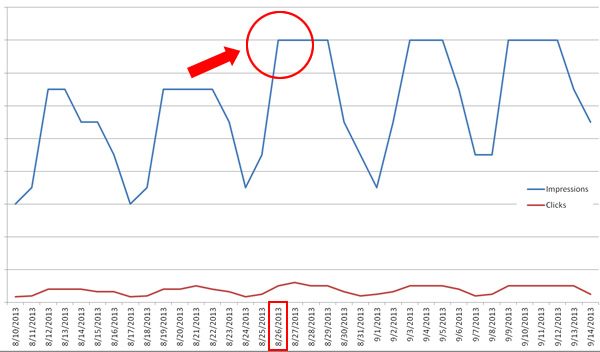 The tips I provided above can help you better track Panda updates, even when Google won’t confirm each release. And knowing a major algorithm update like Panda rolled out is critically important to understanding what’s impacting your website. That’s the only way to form a solid recovery plan. So, from one Panda tracker to another, may the algorithmic wind always be at your back, keep your eyes peeled, stay caffeinated, and monitor the wounded. Good luck.